This is a computational method for simulating the actions and interactions of artificial agents within a virtual environment. Artificial agents are autonomous decision-making entities whose behaviours during the simulation of a social phenomena may help to explore different outcomes for phenomena which we might not be able to view in real life. If applied to pandemics, it would allow us to observe the emergence of effects at the macroscopic level, thus providing information, models and tools for a better approach to such a worldwide health issue. Antiviral drugs are prescription medicines (pills, liquid or an inhaled powder) used specifically for treating viral infections. Specific antivirals are used to target specific viruses and, unlike most antibiotics, they inhibit the target pathogen development, instead of destroying it. They are relatively harmless to the host and they should be distinguished from virucides, which are not medication but deactivate or destroy virus particles, either inside or outside the body. When used for treatment, antiviral drugs can lessen symptoms and shorten the length of the ill period by 1 or 2 days. They also can prevent serious flu complications, like pneumonia. For people with a high risk medical condition, treatment with an antiviral drug can mean the difference between having a milder illness versus a very serious illness that could result in a hospital stay. They may also cause some side effects, including nausea, vomiting, dizziness, runny or stuffy nose, cough, diarrhoea, headache and some behavioural side effects. The CDC provided some useful guidelines for people and health care professionals regarding antiviral therapies. In medicine, compliance (also called adherence) describes the degree to which a patient correctly follows medical advice. Poor compliance with vaccination remains a major public health issue. While approved vaccines have a long track record of substantially reducing morbidity and mortality from a large number of infectious diseases, large sections of the public and many health professionals remain unconvinced of the benefits of some or all of the vaccines and show considerable concern for the potential adverse health consequences. There is strong evidence that the prevalence of "vaccine refusal" is increasing, based on the percentage of children not vaccinated for non-medical reasons. A conspiracy theory is a theory that sees important political, social or economic events, as the products of secret plots run by covert group or organization and largely unknown to the general public. Conspiracy theories are often fuelled by urban myths and misinformation, and are quite usual during and following epidemic outbreaks. Epidemiological surveillance is a key element in epidemiology and consists of constant surveillance and monitoring of diseases, and requires gathering, analysing and interpreting virological and epidemiological data from different countries, areas and territories around the world. Monitoring and warning systems are developed with the help of satellites and wireless communications. A new generation of web application hybrids (mushups) combine information from multiple sources into a single representation, which are used to mine, categorize, filter, and visualize online intelligence about epidemics in real time. inform the selection of influenza strains for vaccine production. FluID. Flu Informed Decision is a global platform for data sharing developed by the WHO. It links regional influenza epidemiological data into a single global database. The platform provides connections between existing databases and can also be used to enter data directly through a web-based interface, if desired. It complements the existing virological data collection tool FluNet. The platform accommodates both qualitative and quantitative data which facilitates the tracking of global trends, spread, intensity, and impact of influenza. These data are made freely available to health policy makers in order to assist them in making informed decisions regarding the management of influenza. - a venue for thinking about implementable solutions to foreseeable problems. A flu epidemic occurs when cases of influenza exceed the normal expectancy within a community or region during a given period and which cannot be explained by ’normal’ seasonal increases. Epidemiologists often consider the term outbreak to be synonymous to epidemic, but the general public typically perceives outbreaks to be more local and less serious than epidemics. 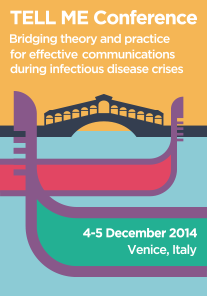 In order to improve the efficacy of communication during an outbreak, several institutions such as the World Health Organization (WHO), the European Centre for Disease Prevention and Control (ECDC) and the US Centre for Disease Control and Prevention (CDC), developed some communication guidelines, emphasizing that “effective outbreak communication is one of the tools that can help achieve the public health goal of bringing an outbreak under control as quickly as possible, with as little social disruption as possible”. establishment of a communication training programme. specifically developing and testing strategies to support vaccine uptake with special focus on new communication strategies for health professionals/agencies to engage with vaccine-resistant groups. The key principle of national public health in the pre-globalisation period was the sovereignty of the state, which reigned supreme over its territory and people. However, a significant and dramatic change of strategy occurred during the SARS epidemic. SARS obliged countries to consider a collective, global, response to infectious outbreak as imperative. This new strategy has been recently elaborated on in the Revised International Health Regulations (IHR), and in the Interim Protocol on Rapid operations to contain the initial emergence of pandemic influenza. It is not clear whether the WHO will eventually become the supranational public health authority, or if a new governance body will be set up, however, the SARS outbreak indicates the growing need for a global health security regime to be established. The TELL ME project has by definition a European and international dimension, and its objectives cannot be extended to national and local levels, although some project activities should be performed at local levels. Epidemics are indeed a perfect application of the slogan “think globally, act locally”, because no action can be only local in case of infectious disease outbreaks. An essential, though often under-recognized and under-supported, component of the infective disease control is the discipline concerned with preventing nosocomial or healthcare-associated infection. This includes a series of practices including prevention (via hand hygiene/hand washing, cleaning/disinfection/sterilization, vaccination, surveillance), monitoring/investigation of demonstrated or suspected spread of infection within a particular health-care setting (surveillance and outbreak investigation), and management (interruption of outbreaks). The use of personal protective equipment (PPE) is highly recommended for health care professionals in order to prevent exposure to blood, saliva, or other bodily fluids or aerosols that may carry infectious materials such as Hepatitis C, HIV, or other blood borne or bodily fluid pathogen. Components of Personal protective equipment (PPE) include gloves, gowns, bonnets, shoe covers, face shields, CPR masks, goggles, surgical masks, and respirators. How many components are used and how the components are used is often determined by regulations or the infection control protocol of the facility in question. The definition of an influenza pandemic given by the World Health Organization (WHO) states that “an influenza pandemic occurs when a new influenza virus appears against which the human population has no immunity, resulting in several simultaneous epidemics worldwide with enormous numbers of deaths and illness”. Such a definition has been changed in 2009, in concomitance with the H1N1 influenza outbreak, and lost part of its severe meaning (see also Swine flu). The occurrence of pandemics is rare, and are different compared to regular seasonal epidemics of influenza. The most severe influenza pandemic in recent history was the 1918 Spanish flu, which is estimated being responsible for the deaths of over 50 million people. People change their behavior during an epidemic. Infectious members of a population may reduce the number of contacts they make with other people because of the physical effects of their illness and possibly because of public health announcements asking them to do so in order to decrease the number of new infections, while susceptible members of the population may reduce the number of contacts they make in order to try to avoid becoming infected. It is thus well recognized that human behavior critically influences infectious disease transmission. Understanding the dynamics of population behaviour increases the effectiveness of risk communication and management. Fundamental and positive attributes like neighborly and altruism can arise spontaneously when people face a major emergency; these positive features should be used to enhance readiness, response and recovery from the spread of communicable diseases, and promote protective behaviors. It is also highly important to take into account audience diversity in terms of ethnicity, culture, religion, language, gender, age, etc, and the possibility that these differences may lead to stigmatization and discrimination. Individuals or organisations are capable of forming negative opinions on a wide range of topics including issues related to infectious disease. Such opinions are not based on sound scientific evidence or up-to-date accurate information but are based upon ill informed prejudices based on unsubstantiated perceptions. Such perceptions may result from cultural viewpoints, religious opinions or simply be based upon a person's instinctual assessment of a situation in the face of the non-availability of accurate information. Prejudices can exist concerning individuals, their culture, their ethnicity or a wide range of social activities. Prejudice can be differentiated from informed opinions because they cannot be justified reasonably or objectively. Informed opinion on the other hand can be supported by evidence. The existence of unchecked prejudicial attitudes can be dangerous in the context of an outbreak of infectious diseases as they can give rise to stigmatising activity. Preparedness refers to the state of being prepared for specific or unpredictable events or situations. Specifically, public health preparedness is fundamental to avoid and mitigate negative outcomes due to infectious disease outbreaks. It is a major phase of emergency management which relies on research, estimation, planning, resourcing, education, practicing and rehearsing. Preparedness of the legal environment in which public health authorities will operate is also crucial. Public law legal preparedness refers to the concept of ensuring an adequate level of legal preparedness for public health emergency situations. This is because if the correct legal framework is not in place at the time the emergency occurs it may not be possible to implement the required response. The International Health Regulations obliges states to be prepared for an epidemic situation and also obliges respect for human rights in such planning. States therefore have an obligation to consider human rights implications during planning for a potential epidemic situation under their obligations under the IHR. This includes human rights within the concept of public law preparedness that has been a hallmark of states’ disaster preparation since September 2001. One of the recent and most dangerous infectious outbreaks was SARS (Severe Acute Respiratory Syndrome), which occurred between November 2002 and July 2003. It started in Hong Kong and nearly became a pandemic, with 8,422 cases and 916 deaths worldwide. As of today, the spread of SARS has been fully contained, with the last infected human case seen in June 2003 but it may still be present in its natural host reservoirs (animal populations) and may potentially return into the human population in the future. Stakeholders are those public and private groups that have active concerns about situations such as epidemics or pandemics. These groups are usually involved in the decision-making process concerning an epidemic and may influence knowledge and attitudes towards vaccination. Also, they can bring some sort of resource to bear in support of public health communication. Their importance when dealing with infectious outbreaks and public health governance is vital and the engagement represents the opportunity to build trust and partnerships, discuss and agree objectives, and establish roles and responsibilities. Stigmatisation is a process whereby an individual or group of individuals is induced to feel a sense of self loathing towards a trait they possess. Such a trait is usually capable of being linked to characteristics that are perceived as being negative. The distinguishing theme of stigmatisation is that individuals are induced to view themselves in a negative light. This is in contrast to the issue of discrimination where a change in the perceptions individuals have towards themselves may not exist or be even desired by those who discriminate. Stigmatisation can bring about harmful effects through a reduction in individual self-confidence and a resultant desire to hide the trait in question from others. This reduces the motivation of individuals in several important areas. This can manifest itself inter alia in health care avoidance behaviours and a reduced motivation to seek the necessary goods in life. The issues are capable of having grave negative consequences in the context of epidemics of infectious disease for both the individuals concerned and society as a whole. Swine influenza, also called pig influenza, “swine flu”, “hog flu” and “pig flu”, is an infection caused by any one of several types of swine influenza viruses, including influenza C virus and the subtypes of influenza A (H1N1, H1N2, H2N1, H3N1, H3N2, and H2N3). Swine influenza virus is common throughout pig populations worldwide. Transmission of the virus from pigs to humans is not common and does not always lead to human flu, often resulting only in the production of antibodies in the blood. If transmission does cause human flu, it is called zoonotic swine flu. People with regular exposure to pigs are at increased risk of swine flu infection. Symptoms of zoonotic swine flu in humans are similar to those of influenza and of influenza-like illness in general, namely chills, fever, sore throat, muscle pains, severe headache, coughing, weakness and general discomfort. In April 2009, a new strain of H1N1 virus, responsible for human influenza, was originally referred to as “swine flu” because laboratory testing showed that many of the genes in the virus were very similar to influenza viruses that normally occur in pigs in North America. However, further study has shown that the 2009 H1N1 is very different from what normally circulates in North American pigs. It has two genes from flu viruses that normally circulate in pigs in Europe and Asia and others from bird (avian) genes and human flu viruses genes. Scientists call this a "quadruple reassortant" virus. Despite its name, the H1N1 “swine flu” virus cannot be spread by eating pork or pork products and, similar to other influenza viruses, it is typically contracted by person to person transmission through respiratory droplets. Symptoms usually last 4–6 days. Unlike most strains of influenza, H1N1 does not disproportionately infect adults older than 60 years. This virus (Probably due to previous exposure to a similar H1N1 virus) was first detected in people in the United States in April 2009 and it was as a pandemic by the World Health Organization in June 2009. It spread worldwide and, as of May 30 2010, 18138 deaths have been reported. On August 10, 2010, the World Health Organization declared the H1N1 influenza pandemic over, saying worldwide flu activity had returned to typical seasonal patterns. An intense debate arose about the declaration of the “swine flu” as a pandemic. Critics claimed the WHO had exaggerated the danger, spreading fear and confusion rather than immediate information. A flu follow-up study done in September 2010, found that "the risk of most serious complications was not elevated in adults or children". A 2011 study estimated that the 2009 H1N1 global infection rate was 11% to 21% lower than what was previously expected while another one, published in 2012, showed that as many as 579,000 people could have been killed by the disease, as only those fatalities confirmed by laboratory testing were included in the original number, and meant that many of those without access to health facilities went uncounted. The majority of these deaths occurred in Africa and South East Asia. Uncertainty in health care refers to events (which may or not happen) and to ambiguous or even missing information. It is a major issue for health care professionals and risk communicators, and it can be due to information distortion, gaps between intended and perceived messages, information overload, etc. Such an issue needs to be addressed with both a theoretical and a practical approach, and this is amongst the aims of the TELL ME project. Urban myths (or contemporary legends) is a manifestation of modern folklore, a folk narrative, which is an apocryphal and second-hand story, emerging spontaneously in the community and can rarely be traced to a single point of origin. Folk narratives exist in various other forms, such as rumours, riddles, gossips, children’s rhymes and life-cycle rituals, which all share common attributes with urban myths. Urban myths frequently make an appearance during infectious disease outbreaks, evoking feelings of uncertainty, anxiety, panic and fear among the public, while also giving rise to conspiracy theories. The urban myth is presented as fact or a true story, with certain elements that make it plausible enough to be perceived as real, while its “success” is determined by its usefulness or relevance as a story. In contemporary times, the urban myth can be transmitted by word of mouth (verbal) and chain letters or emails (written), the print media, new social media and other online resources, as well as through visual arts, such as theatre, films, photography and painting. The Information and Communication Technologies revolution and cultural homogenisation has made possible for urban myths to reach out to a wider audience, making the stories feel directly relevant to a great proportion of the population. A vaccine is a biological preparation used to stimulate the production of antibodies and provide immunity against one or several diseases. It is prepared from weakened or killed forms of the causative agent of a disease, its products, or a synthetic substitute, treated to act as an antigen without inducing the disease. After treatment with a vaccine, the body's immune system has learnt to recognize the agent as foreign, destroy it, and "remember" it, thus being ready to face future encounters. Vaccine refusal can take on a number of forms, one of which is the formation of groups that encourage the partial or total refusal to take vaccine. These groups can exert their influence through the media, particularly through the press and the Internet. Distrust, misinformation, contemporary legends, lack of transparency from government and institutions, and a generally perceived lack of efficacy of vaccines – strengthened by conflicting reports in the scientific literature and "personal experience" – can lead to the formation of vaccine resistant groups.